Enterprises should look for targeted applications of VR and AR through 2020. Virtual reality (VR) and augmented reality (AR) are transforming the way individuals interact with each other and with software systems creating an immersive environment. For example, VR can be used for training scenarios and remote experiences. And AR, which enables a blending of the real and virtual worlds, means businesses can overlay graphics onto real-world objects, such as public employee spaces during onboarding or expose the hidden wires behind the image of a wall. Immersive experiences with AR and VR are reaching tipping points in terms of price and capability. Over time, it’s predicted that AR and VR will be able to expand beyond visual immersion to include all of the human senses. 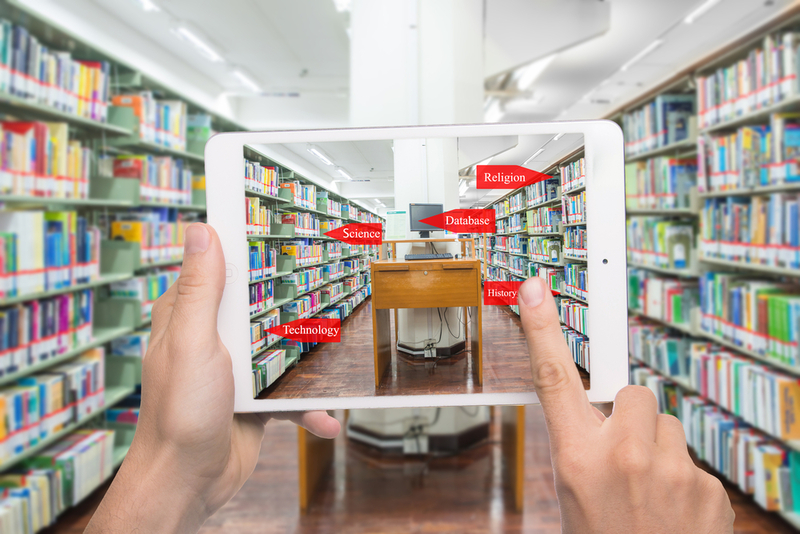 To understand how this trend is transforming the Learning space, we checked in with Micah White, Director of Research and Development with CGS’s Enterprise Learning division, for some real-life examples of how companies are using AR and VR in their L&D practices. White expressed that the prediction is mostly accurate, however more so for AR than VR. The adoption rate has been slower for VR, despite all the forecasts that this technology would revolutionize everything when it first emerged in the 90’s. The truth is, as of 2017, you can find a lot of articles still calling VR, “the next big thing” in learning. As of yet, the revolution hasn’t happened. However, as the technology becomes cheaper, and more companies adopt VR into their learning programs, the trend could begin to catch on. Less than a decade ago, the price point was the main issue. In 2013, when Google glasses launched, one pair cost about $1500. 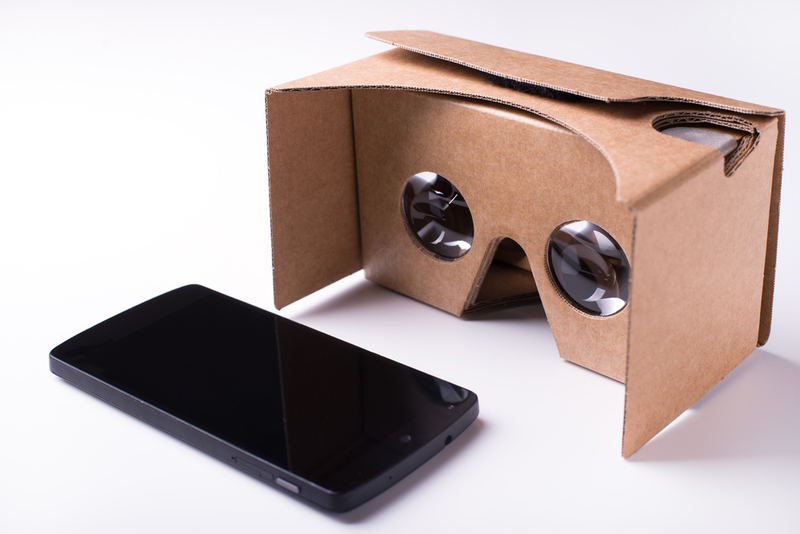 Today, Google cardboard is available for VR immersive experiences and each only costs about $15. This year Facebook also announced that the next generation of the Oculus headset, the Oculus Go, which does not require a phone or computer, will launch in 2018 for about $200. Mark Zuckerberg’s goal is to bring VR to 1 billion people, and with this price point, without the need for additional expensive electronics, it might happen. 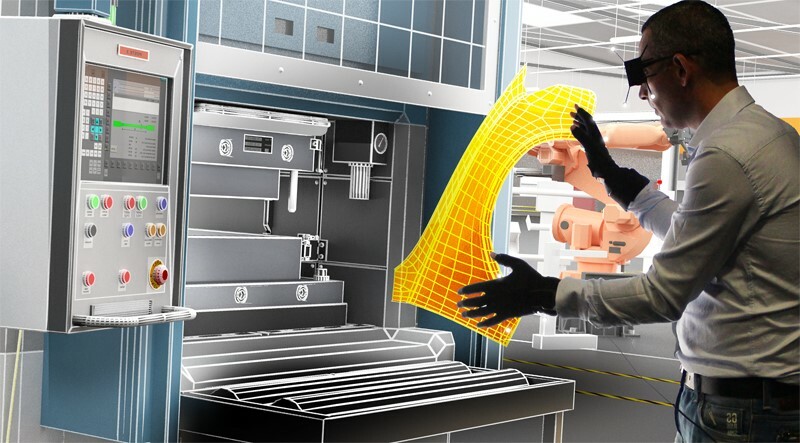 Earlier this year, Doug Stephen, SVP of CGS Enterprise Learning, spoke to CLOMedia.com and gave some examples of how Virtual Reality can benefit job training. By increasing engagement and reducing costs, if travel for training is required, VR has the potential to improve learning outcomes, cost-effectively. Before jumping into a full program, Stephen recommends that companies test out if AR or VR makes sense for them with 3-D learning. 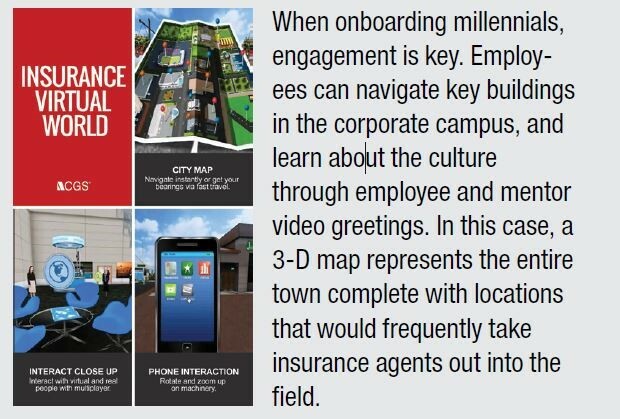 These platforms allow businesses to create virtual worlds and real-life simulations, like the example for this insurance that used VR in their onboarding process for Millennials. You can read the full article and see additional examples here. Results like the example above have helped fuel investment in AR by similar companies. Besides improved training outcomes, companies can also experience greater efficiency. In the past when a field technician was unable to fix something on-site, they would have to leave the location and call in an expert come back and resolve the issue. With an AR app, technicians can contact an expert in the company and get real-time assistance. By simply turning on their phone camera, the more experienced technician can see the item and guide the more junior technician through the steps needed to fix the problem. Not only does this reduce delays, but companies can save costs by ramping up less experienced technicians who can easily tap experts that may be sitting in the company headquarters or any location in the world. The result is better, real-life training, from senior-level experts who can now work on a greater number of issues simultaneously since they aren’t required to travel off-site as often. 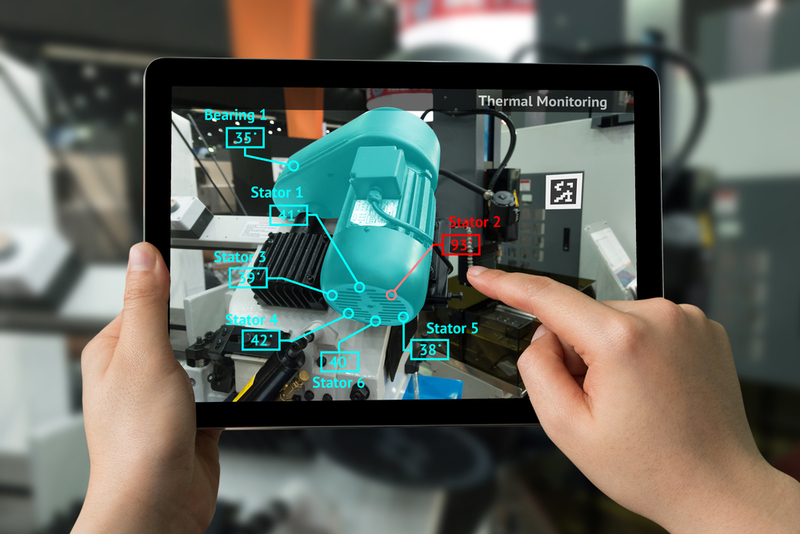 AR apps can also record these sessions between the field technician and an expert, which can then be collected and used to build instructional videos used for further training. These are available on-demand for technicians in the field, through their smartphones, or for junior technicians during training. These training materials cost very little to make and are often more effective than traditional learning materials because they are instructional aids in 3D space, showing real-life examples, available in real-time or during a training course. 3D has proven advantages or 2D since turning the camera around allows technicians to view the item from all angles. The apps are smart enough now that technicians don’t even have to search for the right video they need when they’re on site. They can place their phone in the right space, at the right time, scan an emblem or code on the machine, and call up the video that is needed. If the field technician is working with a senior level technician using AR, the senior technician can also call up the right video at that moment and play it. This makes getting the right instructional aid to fit the scenario with augmented reality almost instantaneous. We’re excited to be working on some of these great developments in AR and VR at CGS, and we look forward to reading Gartner’s predictions for 2018. Maybe it will finally be the year VR kicks off at a hyper-accelerated rate? Read some of our predictions for where video learning will see acceleration next year in our blog: Top 6 Trends in Video Based Learning for 2018.